With today being the full moon and the lunacy that accompanies it, I think it is auspicious to bring to it a new blog design. 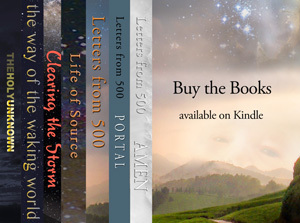 The second book, Portal, is now available and I am restless for a new look to our blog. This is probably the craziest of ideas since , not only is it a full moon day, but our dear friend Mercury went retrograde on August 2nd. With fiery Leo exploding its ego all about and the Mercurial flux that is its retrograde motion, what better time to step into the chaos and explore a new design. I’ve never been one for conformity or conservative actions so I will just lay it all out and hope for the best. The response to “Portal” has been amazing, even in its infancy, and I strongly urge you to make it a part of your library. You can read many excerpts here, but nothing will satisfy more than reading it from cover to cover. We are standing on a precipice, high above an ocean beach. The sky is roiling with black clouds. Fierce winds whip at us, stinging my face with a sharp mist. Steep mountains rise behind us, disappearing in the overcast. I can’t imagine how we got here. There’s no path up or down from this forsaken perch. I look around, alarmed. But you are still clutching my hand. Strangely, I see two figures standing in huge, crashing waves on the rocks. They are somehow maintaining there, in spite of the tumult. Wave after wave pounds the ledge. The figures stumble back, but regain their foothold and stand again, bracing for the next onslaught. “All right. I’ve waited this long.” I mumble, looking quizzically at you, and watching the duo below buffeted by the waves. Now there is rain in the wind. It lashes at us and we’re soon drenched. “Not much longer. Watch the figures below.” You are now shouting to be heard above the gale. The female suddenly walks to the edge and dives down into the water. She is pulled quickly out into the foaming surge. She disappears from view. The man moves back against the rocks, holding fast. Now I see the woman swimming out from shore, rising and falling with the enormous waves. Her shape is tiny in the enormity of the ocean. Sheets of rain pound down upon Earth and sea. I stare into the raging swirl below. There, on both sides of the man, I can now make out other shapes of people. How could I have missed them before? There are dozens on each side. I took them to be rocky crags, I guess. They seem to be struggling, fighting with one another, pulling and pushing. Their voices are wafting through the wind in faint bursts. They’re screaming at the lone man on the ledge, who continues to be struck by mighty waves. And what of the woman? Where is she now? Some of the people on the rocks are looking out toward her, screaming in hostile voices. My attention is totally absorbed in the drama beneath us. Oddly, I now have no concern for the cold rain in my face. I feel you holding both my arms from behind as I lean into the wind, trying to see the woman in the surf. There she is at last, fifty meters from shore. She is no longer swimming; she is treading in place on the swells. And around her I see dark shapes moving. Fins! But you are silent, face against the wind, eyes fixed on the woman in grave danger. I look away back to the man. The crowd that has closed in on him is now haranguing him. They are pulling and tearing, beating on him with their fists. Their angry shouts ride up through the mist and tumult. My mind is frenzied. I shake my head and try to understand what you’re getting at. What is it you want me to say or do? I reach back inside my body, feeling for my heart, in spite of the maelstrom outside. I feel an expansion in my chest, a warmth. An answer. My voice is calm and firm. It rises above the storm. “Humanity wants to destroy the avatars, because we feel hopeless. We are torn, divided within ourselves, and just want to tear away and reject everything. And insanely, at the same time we demand something to cling to. But it is not there. What is offered we reject; what we desire is no longer offered; it was never really there. “The forces of rejection and clinging are like bile in our hearts. Burning lies. We feel there is no one who can save us or help us or lead us. We are helpless and cynical. Yet we want to banish anyone who is stronger and wiser. We want to be insane, to actually retreat into unconsciousness. We, collectively, have created the insanity I’ve been feeling. We’ve seen a glimpse of awakening, and it has frightened us to the core. We are mad with fear. This voice has erupted out of me from the heart of fear in humanity. I know within myself that it does not speak for everyone though. It does not speak for me. And yet it is the voice of the times, the voice that shouts the loudest. It is the voice of ego and separation, desperate to preserve itself. What will humanity do with this wayward voice? On the ledge below, the throng from both sides has pulled the man to the ground. He rises up again. Some of the mob are now trying to defend the man, arguing with the others. Waves crash over them all. There is great tumult and thrashing. Waves come again, smashing into the struggling group. Some are washed away with the waves, screaming and cursing loudly. Sharks, near the shore, are quick to respond. The man, the avatar, does not struggle. He simply holds his ground in the midst. After one great wave, he is separated from the writhing mass. He leans forward toward the sea, looking out at his partner, just as another wave strikes. He is forced back against the rocks, but stands firm. His strength is astounding; his courage inspiring. Around him I see many great birds, ravens, black as the storm—at one with the storm. They hover, defying the whipping wind. There is a mystery about them, I sense. They are harbingers. But for good or ill? I cannot tell. I look back out to sea. Incredibly, the woman is still alive, afloat amidst the circling sharks. They have closed into a tighter circle. There must be at least a dozen of them. She does not move or try to defend. She is waiting for something. She is at peace, come what may. Her poise is radiant, even across this distance; her presence is grace itself. I am in awe. So, this is an avatar! The pounding storm is as nothing to me now. I am outside it. I surround it with my being, my human being! I realize that this whole scenario is inside me, inside my mind. I must place it in my heart as well. Your words come to me again, this time from a still, small place, untouched by the storm or the struggle. Tell me now, brother. What would you do to help these avatars? This time I do not hesitate. The answer does not come from my mind. My mind has shrunk back into a tiny corner of itself, consumed by its own fear-filled nature. This time my heart speaks. My soul acts. Down upon the rolling water a point of light briefly gleams. Then, from above, a blinding flash of lightning connects to the point on the water. A mighty explosion of thunder peals across the blackness above. Then the lightning strikes several more times. Again the gleam of light appears on the waves. It is halfway between the woman and the man. This time it does not fade, but holds and begins to grow slowly outward from its center. The rain and wind have suddenly ceased with the last of the thunder. Below and out to sea there descends a calm. Gradually, one by one, the raging waves fall lower and the surface mellows. I look upon the woman in the water. Something has shifted. The fins of the sharks have changed. They are dolphins! Could I have been mistaken all along? The dolphins are swimming the circles now, leaping and dancing with the surf. They seem to be arriving from all directions. Hundreds of them ring the woman, splashing and playing in joy. The circle of light has enlarged to reach them all at last. There is an air of jubilation. I am overjoyed to see this. Now I look over to the man. The circle of light has reached the shore. It slides up to where he is standing erect, still, in the center of the ledge. He has been watching the ocean, the woman and the dolphins. The struggling people around him have pulled aside. They shrink back and are falling to the ground; some are on their knees, bowing, and others seem to be praying, with hands clasped or arms outstretched. Some are prostrate or have curled into fetal balls. I could swear I hear the ‘gnashing of teeth’. The male avatar spreads out his arms, wide. Two great eagles swoop down from the cliffs, parting the flock of ravens. The eagles are each the size of the man himself. They fly together past his outstretched hands, brushing them as they head out over the water. They dive low to the surface, speeding toward the center of the circle of light. In a flash they have pierced the water with their mighty claws and are pulling out a huge, shining fish from the deep, one bird at each end. This fish is the source of light on the water. Now they release it and the fish turns in the air, gleaming like diamond. The scene slides into slow motion. The eagles hover. The giant fish, a vesica shape, is aloft and free, transforming into a pure golden oval. The woman floats amidst the dolphins. The man stands, arms outstretched on the land, ravens at hand. You and I watch from high above. The light radiates out in gentle, fierce waves from the gilded fish. I read this and then immediately went to the book and read on! How grateful I am to have the book. I am also reading Jeremy Narby’s The Cosmic Serpent, DNA and the Origins of Knowledge. Much to learn but slowly! As I sit and read the excerpt from “Portal,” I am excitingly drawn into the vision of the Avatars struggle against the onslaught of the oceanic waves. Mercilessly lashed with only a moment’s pause; no help in sight, they cling on to the rocks for their lives. Then without reason,what seems to be a self-sacrificial act, the female Avatar jumps into the tumultuous waters….. I cannot at this point contain the panic that I feel within myself, it’s unreal! I see clearly that we are being given an opportunity to save ourselves from ourselves. The metaphors are so apropos to the events that are happening in the world today; demonstrated by the relentless beating of the fierce ocean waves, the collective fear that projects from humanity, and the lies that flow from the mouths of Politicans. Does this not speak volumes of what is happening in our society today? “Portal” is describing the actual destruction and dysfunction of our country, Politicans and the world in Its true form. In all its calamity, deceit, misuse of power there still seems to be a spark of hope and a reason to save mankind. We had better pay close attention to the messages from “O” and within “Portal,” and take heed to the truth. Like the author, I too want Mother Earth and All its inhabitants to LIVE!